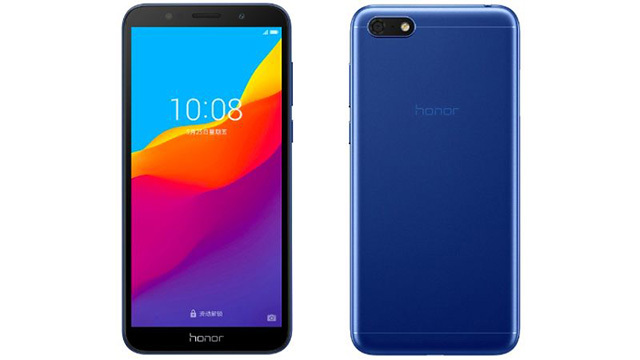 Following the launch of its flagship Honor 10 in India earlier this week, Huawei’s sub-brand Honor has launched a new device in the budget segment – the Honor Play 7. Featuring an 18:9 display, a 24MP selfie shooter, and a 3,020mAh battery, the Honor Play 7 was launched at a recent event in China. According to a recent report from Gadgets 360, the Honor Play 7 has been priced at 599 RMB, which roughly translates to Rs. 6,400, and is available in three color variants – black, gold, and blue – on China’s VMall. As of now, the company has unveiled no information regarding a global release. The budget Honor Play 7 sports a 5.45-inch HD+ IPS LCD panel with an 18:9 aspect ratio and is powered by a quad-core MediaTek MT6739 SoC paired with 2GB RAM. In terms of imaging, the Honor Play 7 includes a single 13MP sensor on the back, supported by a dual-tone LED flash, and a 24MP selfie shooter up front with a soft light LED flash. Although the device only has 16GB of internal storage, it features a microSD card slot with support for up to 256GB cards. The device also comes with dual-SIM support and Android 8.1 Oreo out-of-the-box. Powering up the device is a 3,020mAh battery, which coupled with the 720p display and power-efficient processor is expected to offer decent battery backup. Another unique feature included in the Honor Play 7 is an eye protection mode which applies a blue light filter on the display. The eye protection mode not only prevents eye strain while using the phone at night, but will also help users go to sleep as it blocks out the blue light which is known to disrupt levels of the sleep-inducing hormone melatonin. It’s worth noting that Honor is expected to release the Honor 7A and Honor 7C in India, exclusively on Flipkart, next week.